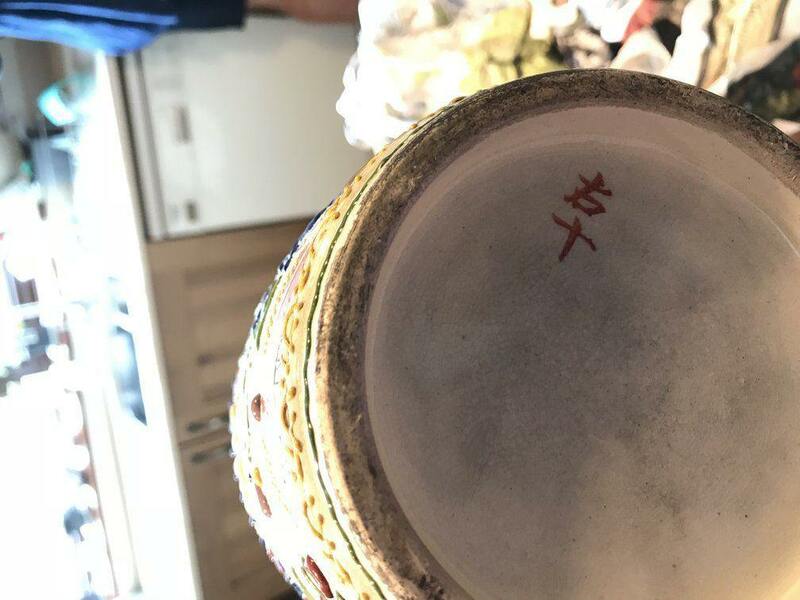 Hi - we’re looking for some help on knowing a bit more about this item, we understand that it may have been bought from Japan or China in the 1920’s but we’re unsure as to its history otherwise? Can you help please? 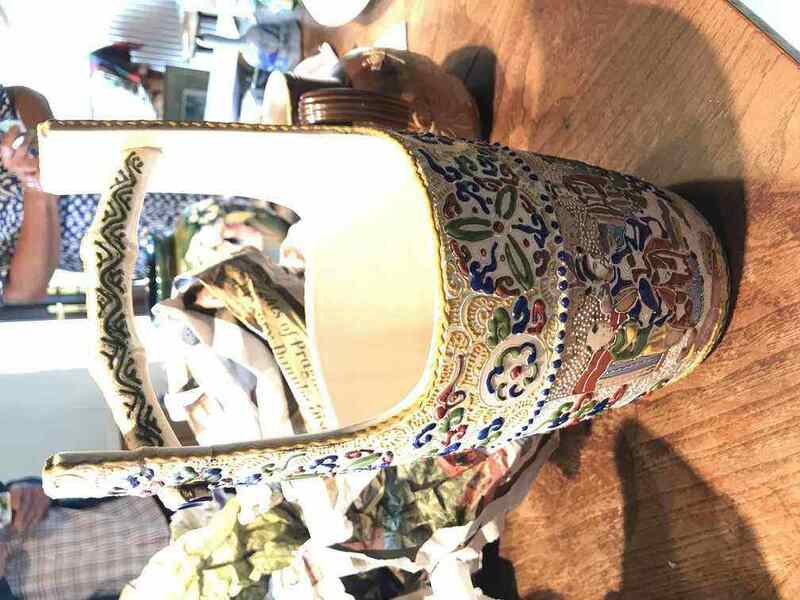 Subject:Re: Japanese Water Carrier Vase? Satsuma-like ware, probably from the Kyoto region. It is numbered and the right one of a pair, the mark says: Migi 右 (Right) - Ju 十 (10).